Zetec is the leader in array coil technology. Our patent on reusing transmit and receive coils allows us to create a better coverage per coil density than anyone else in the industry. So when you use our probes for your inspections, you’ll gather all of the necessary data in “one pass” through the tube, resulting in a cost savings on the procedure. 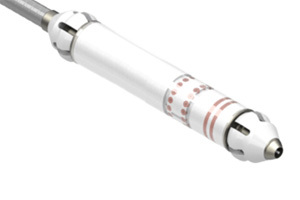 Our selection of probes includes X-Probes, the standard array technology in the nuclear industry. 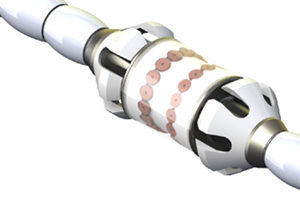 Two technologies, array and bobbin, integrated into a single probe for shorter inspections, fewer probe changes, fewer trips to the platform, and reduced radiation exposure. 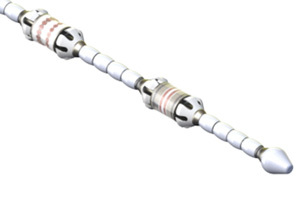 CXB probes designed to find circumferential cracks and other indications in non-nuclear heat exchangers. Execute fast, "one pass" inspections through a combination of bobbin and array technology. This results in a complete inspection that reduces the cost of the process. It's the best probe to quickly find all flaws and indications, reduces total cost of inspection, and meets regulatory requirements and ETSSes. Experience a quick and comprehensive inspection at a reduced cost through combining bobbin and array technology. Not only will you lower your cost for circumferential crack discovery, you'll gain access to multiple options that meet specific inspection needs. Learn about the various models to support your specific requirements. © 1995-2019. Edaran Prestasi Sdb Bhd. All rights reserved.